The ascent of Castleton Tower by Layton Kor and Huntley Ingalls in 1961 marked the beginning of tower climbing history in Southern Utah. 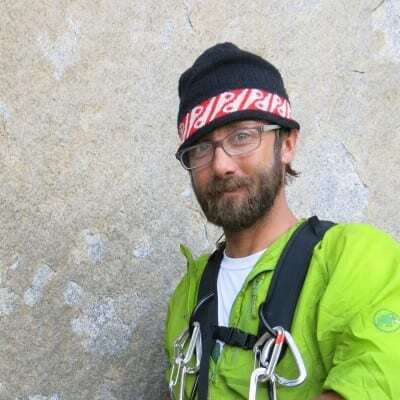 Jackson Hole Mountain Guides Tower Pursuits offers THE bucket list, of the Great American West for rock climbers. Get away from the fray and get up on a tower this fall. 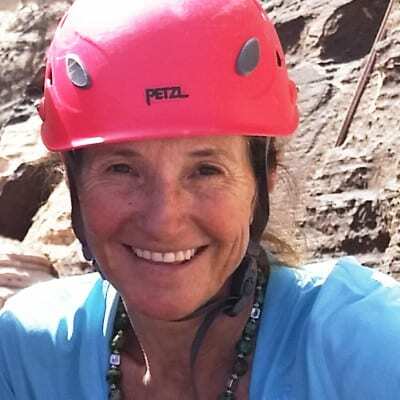 Knowledge that is unmatched and unparalleled, our guides have spent decades climbing and guiding in the Moab area. JHMG is the only AMGA accredited company in Moab. Our Tower Pursuits offer a tower and guide for you, whether it is a Fifty Classic Climb, hard man line or your very first desert summit. 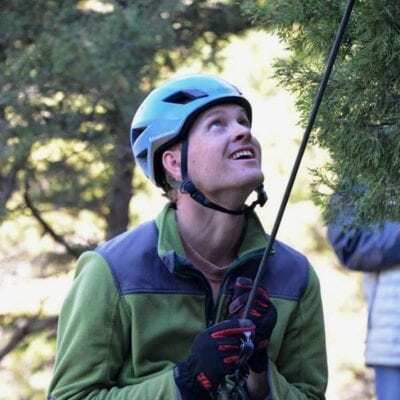 Jackson Hole Mountain Guide’s two-day Tower Pursuits program prepares and guides you to the summit of one of 20 different iconic world famous sandstone formations. We offer tower ascents for parties of one or two on Tower’s ranging in difficulty from 5.7 to 5.11. 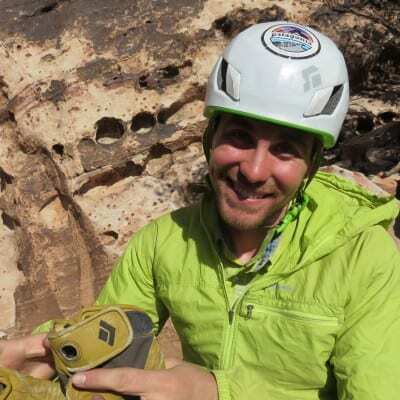 Tower Pursuits requires crack climbing skills that are unique to the Colorado Plateau. If this is your first tower experience our guides are experts at suggesting the best tower for you and teaching you the necessary skill to stand on the summit. Take your traditional climbing skills to the next level. If you have a goal and some skills; we have a guide that can take your skills to the next level and help you achieve your tower dreams. Day 1- Is prep for your tower climb. You will spend half the day climbing with your guide learning specific skills for climbing a tower. Revisit belay skills by belaying a top roped and lead climber. Rappel skills. Learn how to clean and rack climbing protection along with dismantling anchors. Climbing skills include: Off widths, chimney techniques, hand cracks and finger cracks. Learn to make reusable tape gloves. Day 2- follow your guide to the trail head. From there expect a forty five minute to hour plus approach up the talus cone to the tower base. Take the skills you learned from the day before to achieve your climb. Summit a tower specific to your abilities. We offer over 20 different towers to climb. Some of the classics include Ancient Art in the Fischer Towers. The Kor Ingles route on Castleton Tower. This is one of North America’s 50 Classic Climbs in Castle Valley. Lonely Vigil located on the Light House Tower on the River Road. 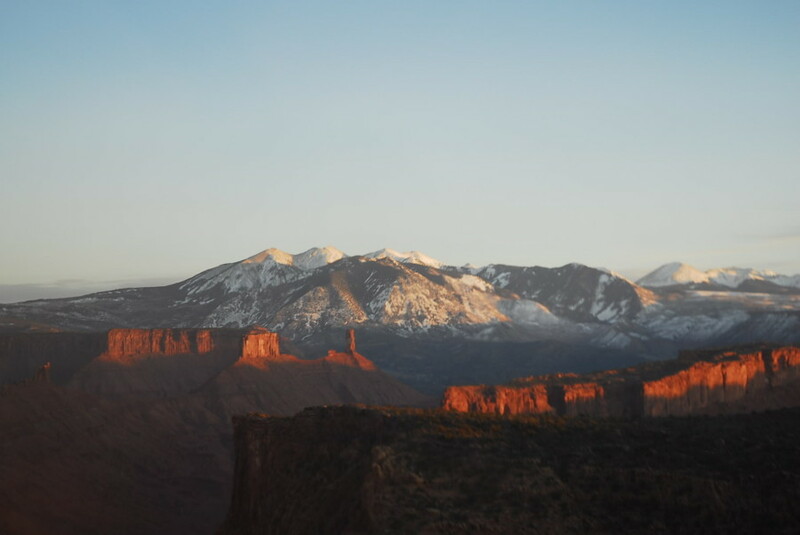 South and North Six shooters are iconic high points not to be missed on the Colorado Plateau located at Indian Creek. Group pricing is for 2 people on a trip. Please note that trips must reach minimum number of participants. Please note that due to scheduling considerations, this trip cannot be booked online. Please click here to inquire about specific date for your climb. JHMG will teach you what you desire and create exceptional moments in the mountain setting.